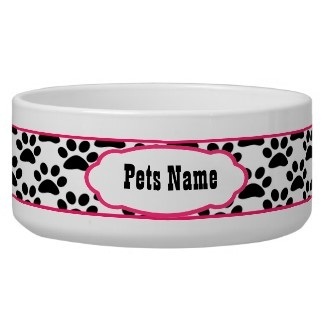 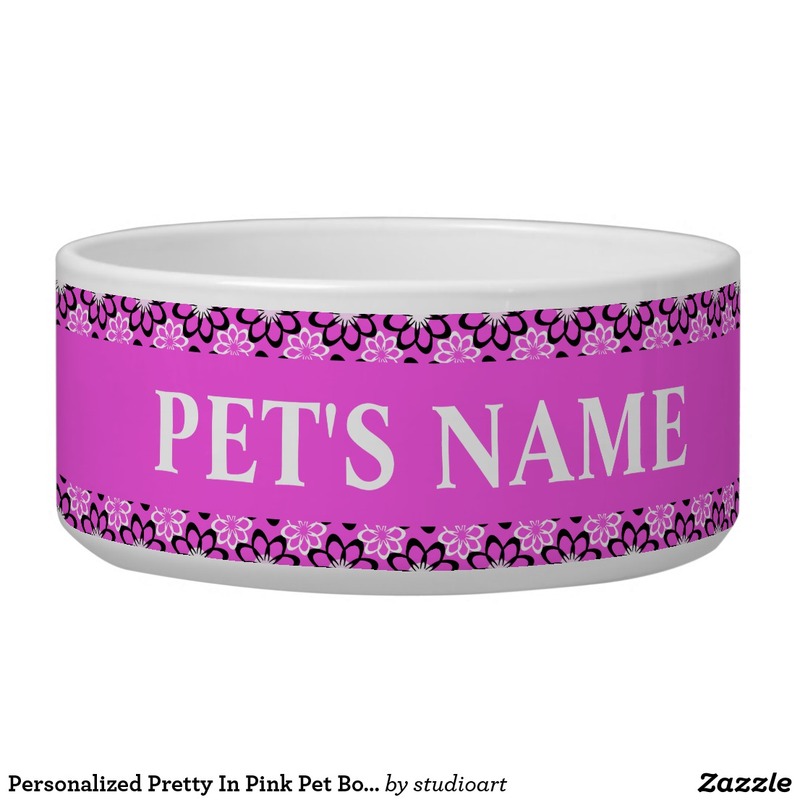 Ceramic dog and cat bowls with names, easy to customize online with your pet's name. 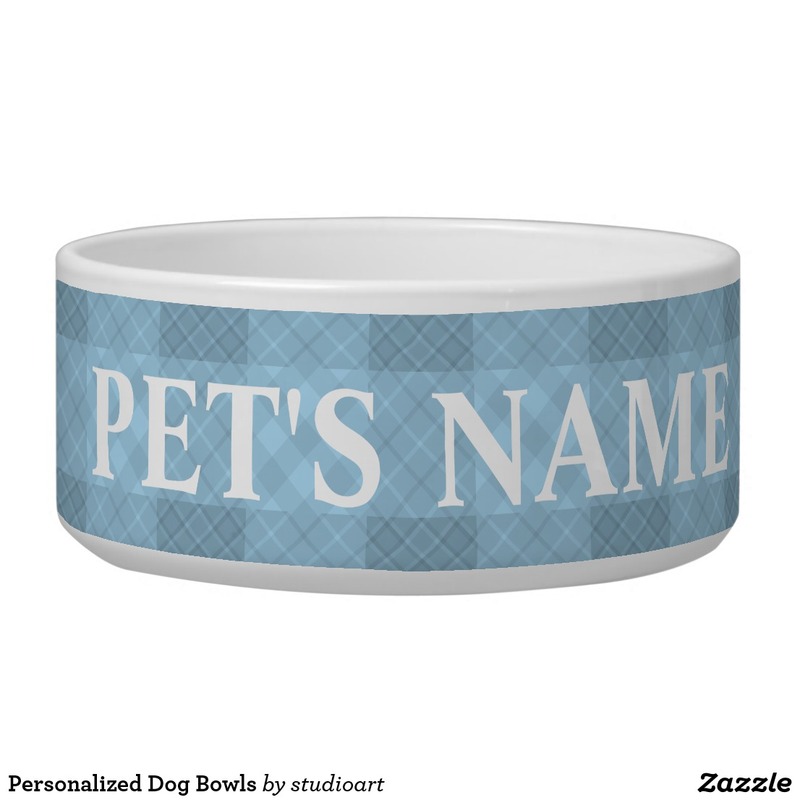 Pick dog or cat bowl under the Choose large or medium under "style Options" found on the individual product page of each bowl. 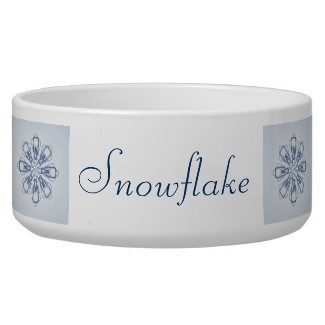 Dishwasher and microwave safe 100% white ceramic. 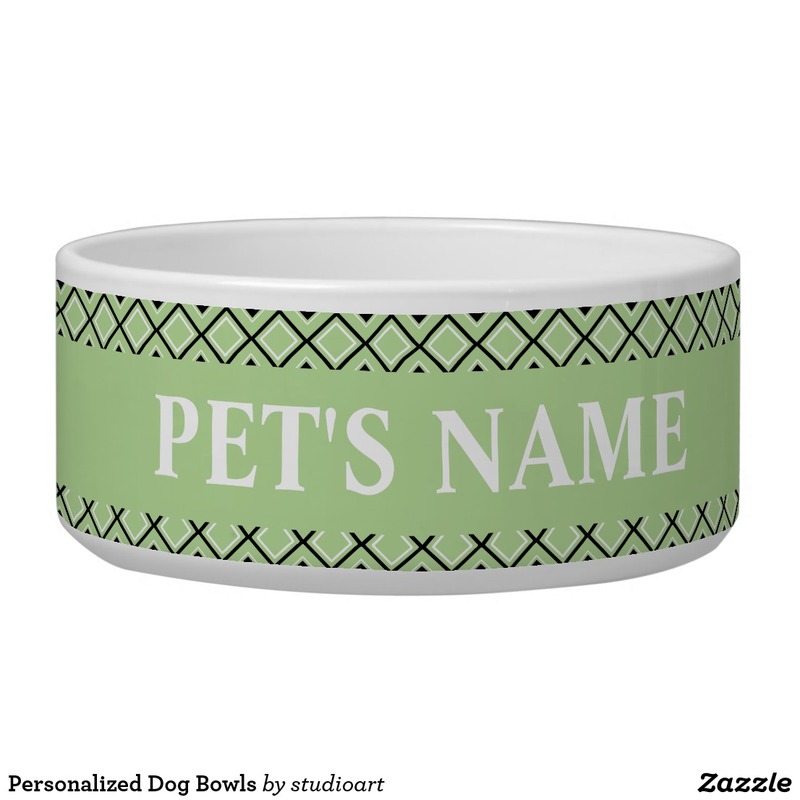 Dog bowls - 40oz. 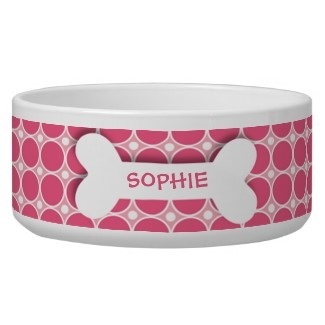 3” height, 7” diameter. 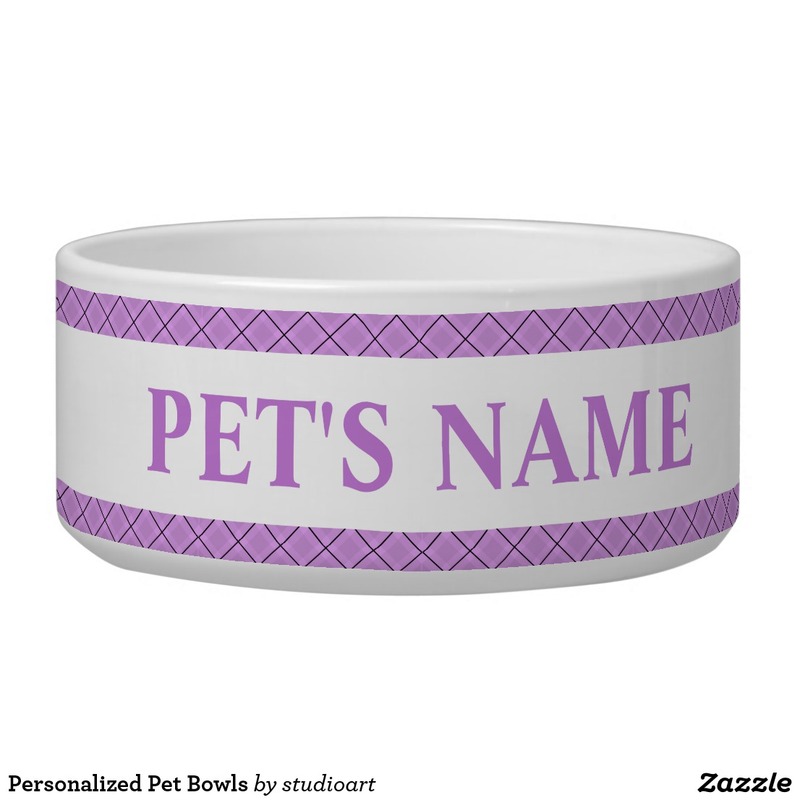 Cat Bowls - 25oz. 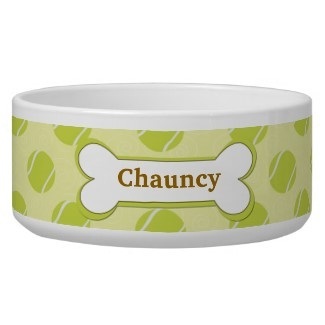 2.5” height, 5.75” diameter. 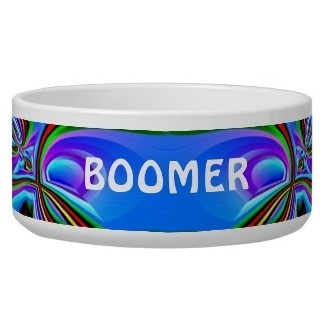 When you purchase a product from us you help individual artists and designers earn an income through their artistic creativity, we thank you for your support! 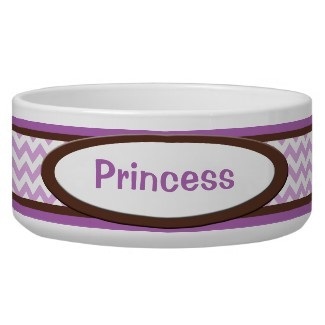 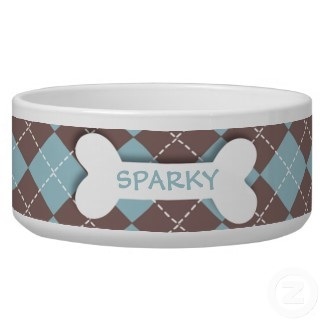 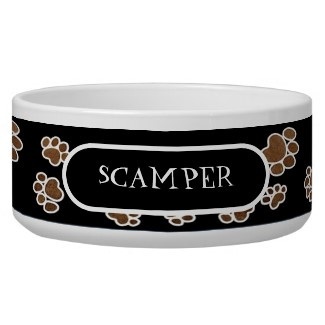 See more Personalized Pet Bowls for your dog and cat!